The couple are enjoying a sun soaked Californian getaway. 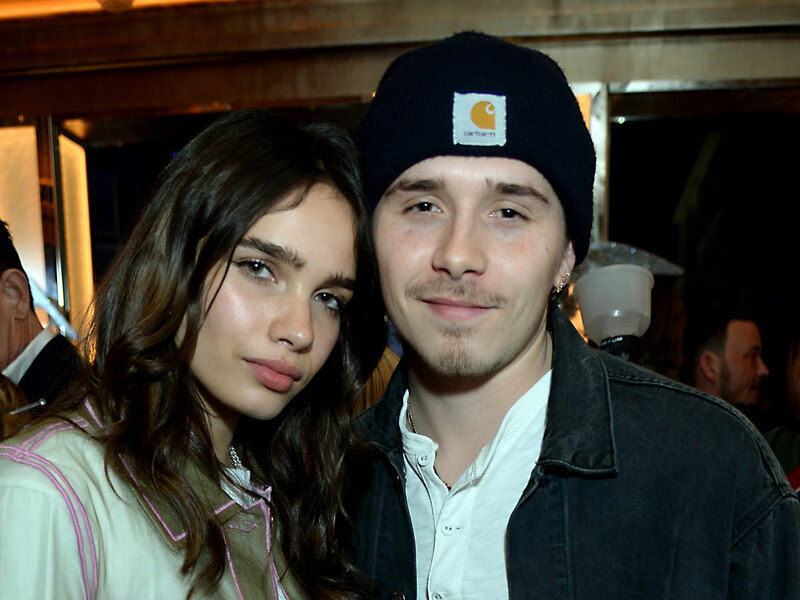 Having spent the weekend partying at Coachella, Brooklyn Beckham and his girlfriend Hana Cross enjoyed some much needed down time yesterday, taking a romantic late night dip. Brooklyn, 20, and 22-year-old Hana hit the pool at night fall, with the British model taking to her Instagram to share a video of the intimate swimming sesh. Sharing a video with her 238,000 followers, Hana filmed Brooklyn who can be seen looking rather relaxed, carelessly floating in the water of the infinity pool and listening to music. 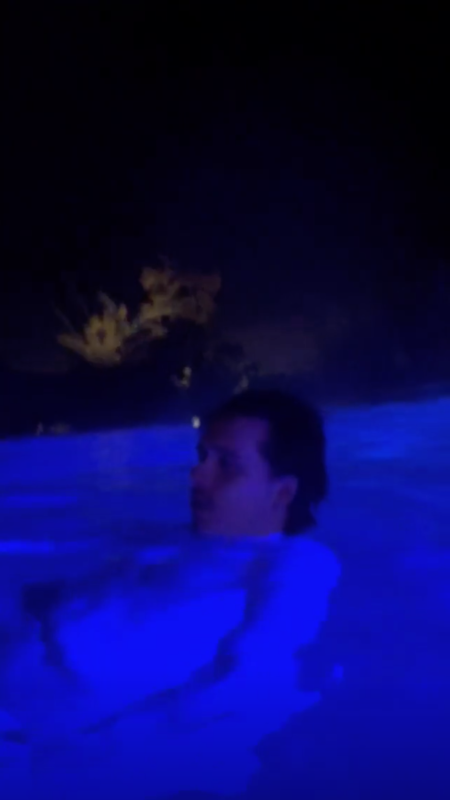 Later, Hana, who has modelled for big brands such as Topshop and Asos, uploaded a sultry snapshot, posing with her wet hair slicked back and sporting a white bikini in the darkness. The couple’s relaxing splash time comes after they spent the past few days living it up at luxe California festival, Coachella. The young lovebirds partied the weekend away, ensuring they made time to pose for a series of Instagram updates. The aspiring photographer can be seen baring his tattooed arms and wearing a pair of dark sunglasses, with Hana rocking an all white bralette and trouser combo. Meanwhile, Hana spent some quality time with another member of the Beckham clan, sharing a photo as she hung out with Brooklyn’s younger brother, Cruz, 14. Hana is clearly beginning to feel a true part of the Beckham family, cutely penning ‘lil bro❤️’ beside the post.